I lost my home. I figured I would go for a walk. Soon I came across a group of bricks. 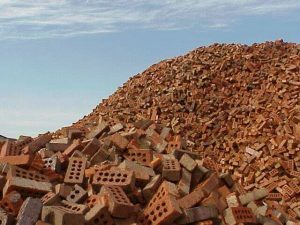 I said they weren’t a house, but a pile of bricks. I said that was a generous offer, but I was unskilled at compilation. The brick said, “No problem, we know how to do it. Please wait.” I stood and watched the bricks quickly assemble into a house. When they were done, a brick door swung open at the front of the house. I walked in through the door and sat down on a brick sofa. I said yes, and thank you, but that I was a little tense from the hardness of the brick sofa. And in a few minutes, it was.